Clearly , I didn't see the win for Black , and neither did he, as we had repeated a position. I knew I should have played Rxf2 previously, but played Kh1 just to gain some time to think. What is the best move for Black here ? Earlier in this game, I had played a Rxh6 sacrifice, since I 'felt' that an attack must be possible, but couldn't calculate it properly.. so I just played it to find out. It was, of course, not a correct sacrifice, in that it was not overwhelming, not winning. However, weak responses from Black ( including the bizarre decision not to take the Bishop on d3 (blunting any attack) , or later, Nxa2+ to win a pawn) allowed me another shot. 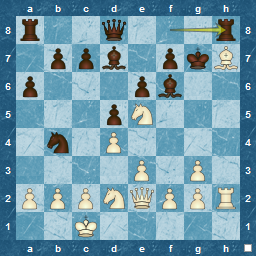 Again, I felt there was something there, but with limited time, I played the wrong move in the position below. 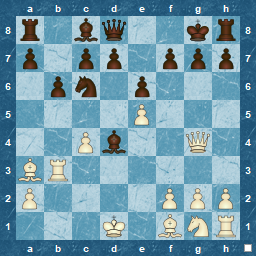 After the game, I worked out the winning move, as there is a forced win available. 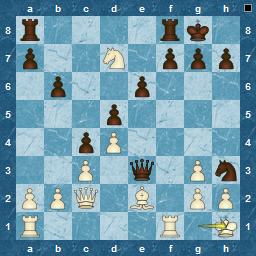 Doing this was very useful, since I realise that the reason I missed the win is that I overlooked mating patterns: one completely ( although it must have been in my thoughts at some time, since I had played Ne5 previously ), the other, and original mating pattern, just slipped out of my mind. Losing both patterns and the focus in each, just pushed me in the wrong direction. Can you do better than me ? What do you play here to win ?